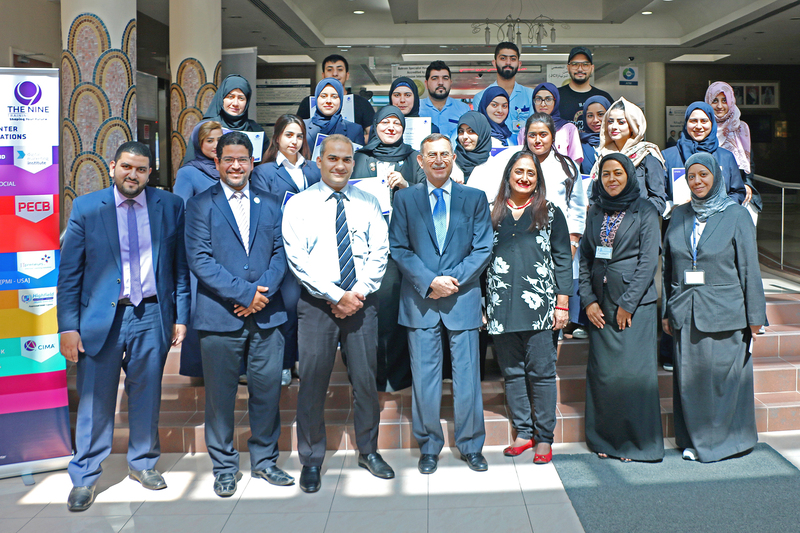 The Nine Training Center had recently conducted a training program on Customer Service Excellence for selected group of employees of its valued client – Bahrain Specialist Hospital. This Tamkeen Supported Training Program has been attended by more than 20 participants and delivered by a certified trainer with a hands-on approach and exceptional knowledge on modern training methodologies and practices. The Customer Service Excellence Training Program has been designed and developed to assist the individuals and companies involved in the delivery of Customer Services. It was a highly participative, trainer-led training aimed at equipping the participants with hands on practical knowledge, skills, and the importance of positive attitude. The candidates have expressed their appreciation to the Nine Training Center Chairwoman and CEO – Her Excellency Shaikha Noora Khalifa Al Khalifa and her Partner and Managing Director – Mrs. Gopika Beri, the Management of Bahrain Specialist Hospital, Managing Director – Dr. Kasim Ardati, Human Resource Manager – Dr. Sujith Subramaniam, and HR In-charge – Ms. Awatef Alsairafi. The candidates are extremely enthusiastic about applying the useful practical tools, knowledge, and skills they have gained from this highly beneficial training course.